Turkey has lost $300,000 daily during the closure of the Baku-Tbilis-Ceyhan (BTC) pipeline due to an explosion on the line, as oil exports are expected to resume after the repair of the line, Hurriyet reports. BP also shut off the Baku-Supsa oil pipeline and the South Caucasus gas pipeline in Georgia because of the ongoing conflict with Russia. An explosion, for which the outlawed PKK later claimed responsibility, occurred on Turkish territory along the pipeline that carries Azeri crude passing through Georgia, two days before the conflict began over the South Ossetia region between Russia and Georgia. The resulting fire that burned for six and a half days was extinguished on Monday and cooling studies are ongoing. 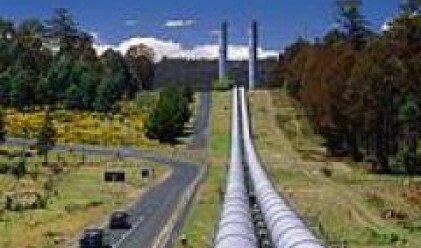 Hurriyet daily reported on Tuesday the closure of the pipeline costs Turkey $300,000 a day. The repair of the line is expected to take one or two weeks. Turkey received $2.6 billion in income since the opening of the line. The pipeline normally carries Azeri oil which is high quality and commands a premium. The $4 billion BTC pipeline can pump up to a million barrels per day, the equivalent of more than 1 percent of world supply, from fields in the Azeri sector of the Caspian Sea to the Ceyhan port on the Turkish Mediterranean coast. Shipping from the port in Ceyhan was put on hold as stocks at the site’s storage depots have been depleted, an Energy Ministry official told Hurriyet. A Turkish official said the fighting would not stop the oil flow from the line and exports would resume once the pipeline is repaired. "Oil exports will begin when the pipeline is repaired; the fighting is not an obstacle for exports," a source at the Turkish state pipeline company, Botas, told Reuters on Tuesday. BP rejected the claims that the pipeline was shut down due to the clashes between Georgia and Russia, Hurriyet added. Georgian officials had accused the Russian army of targeting the pipeline. Russia has denied the claims. "The reason for BTC's closure is the fire and blast that occurred in Turkey. The halting of oil shipping at BTC is not related with Georgia. BTC was closed prior to the clashes that started in Georgia," Murat Lecompte, the foreign affairs director of BP, told Hurriyet. The pipeline is operated by the British oil giant. "No information has been received by BP officials regarding claims the BTC was targeted. Oil is being shipped through the Baku-Supsa back-up route," Lecompte said. Turkish President Abdullah Gul also said there were no problems with the Georgian section of the BTC, at a press conference on Tuesday. BP said Tuesday that it has closed the Baku-Supsa oil pipeline and the South Caucasus gas pipeline, also known as the Baku-Tbilisi-Erzurum Pipeline or Shakh-Deniz Pipeline, in Georgia because of the ongoing conflict with Russia. Gas in the pipeline from Azerbaijan to Turkey will continue flowing for at least a week more despite BP halting the pumping of gas, a senior source from the Turkish pipeline company Botas told Reuters. He also said that during this period Turkey was not considering halting the export of gas to Greece through this pipeline which runs from Azerbaijan's Shakh Deniz.